He is known as the Greatest Detective Who Never Lived. Written by Sir Arthur Conan Doyle, Sherlock Holmes comes alive on film in this landmark television series starring Jeremy Brett. 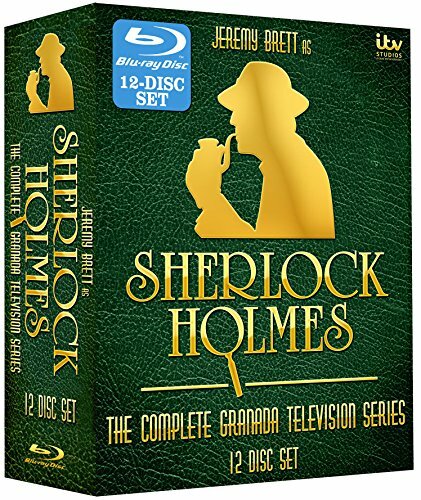 All the classic tales are here for the first time on Blu-Ray, as the Great Detective and his faithful companion, Dr. Watson, tangle with the terrifying Hound of the Baskervilles, the beautiful adventuress Irene Adler, and the dastardly villains Colonel Sebastian Moran, Charles Augustus Milverton, and the Napoleon of Crime himself, Professor James Moriarty.